You'll discover tucked-away gems like Baia dos Porcos and Projeto TAMAR Fernando de Noronha - Patrocínio PETROBRAS. There's lots more to do: stroll through Baia do Sancho, kick back and relax at Conceicao Beach, don't miss a visit to Fortaleza N S dos Remedios, and pause for some serene contemplation at Capela de Sao Pedro. To see more things to do, traveler tips, ratings, and tourist information, read Fernando de Noronha trip itinerary planning tool . Paris, France to Fernando de Noronha is an approximately 19.5-hour combination of train, bus, and flight. The time zone difference moving from Central European Time to Fernando de Noronha Time is minus 3 hours. In August, Fernando de Noronha is a bit warmer than Paris - with highs of 33°C and lows of 28°C. Finish up your sightseeing early on the 23rd (Thu) so you can travel to Alto Paraiso de Goias. Explore hidden gems such as Almecegas I Waterfalls and Loquinhas Falls. Step out of Alto Paraiso de Goias to go to Cavalcante and see Cachoeira Candaru, which is approximately 1h 25 min away. Spend the 24th (Fri) exploring nature at Parque Nacional da Chapada dos Veadeiros. There's much more to do: take in the dramatic scenery at Catarata dos Couros, don't miss a visit to Gota Kaliandra - Espaco de Musica e Silencio, explore the striking landscape at Vale da Lua, and explore and take pictures at Jardim de Maytreia. For other places to visit, ratings, and more tourist information, read our Alto Paraiso de Goias travel route planner. Getting from Fernando de Noronha to Alto Paraiso de Goias by combination of flight and bus takes about 10.5 hours. The time zone difference moving from Fernando de Noronha Time (FNT) to Amazon Time (AMT) is minus 2 hours. Wrap up your sightseeing on the 27th (Mon) to allow time to travel to Porto Seguro. You'll discover tucked-away gems like Taipe Beach and Reserva Pataxo da Jaqueira. 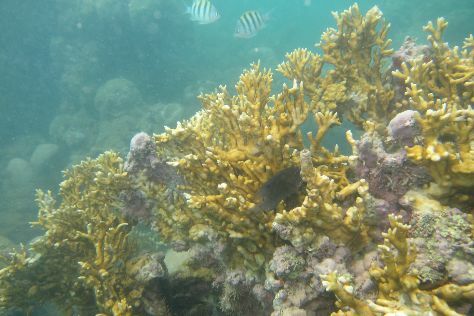 The adventure continues: make a trip to Largo da Ajuda, kick back and relax at Mucuge Beach, identify plant and animal life at Recife de Fora, and tour the pleasant surroundings at Coroa Vermelha Beach. To see where to stay, reviews, maps, and tourist information, read Porto Seguro trip builder website . Traveling by combination of bus and flight from Alto Paraiso de Goias to Porto Seguro takes 7.5 hours. Alternatively, you can drive; or take a bus. You'll lose 1 hour traveling from Alto Paraiso de Goias to Porto Seguro due to the time zone difference. In August, plan for daily highs up to 29°C, and evening lows to 22°C. Cap off your sightseeing on the 31st (Fri) early enough to travel to Bonito. Discover out-of-the-way places like Boca da Onca Falls and Estancia Mimosa Ecoturismo. The adventure continues: explore the activities along Recanto Ecologico Rio da Prata, meet the residents at Aquario Natural, tour the pleasant surroundings at Balneario Municipal, and look for gifts at Casa do Vidro. To plan Bonito vacation without wasting time, ask Inspirock to design an itinerary. Getting from Porto Seguro to Bonito by flight takes about 6 hours. Other options: do a combination of flight and shuttle; or drive. Due to the time zone difference, you'll gain 1 hour traveling from Porto Seguro to Bonito. Wrap up your sightseeing on the 5th (Wed) early enough to travel to Ushuaia. Step off the beaten path and head to Cerro Castor (Castor Mount) and Mirador de Lagos Escondido y Fagnano. Step out of Ushuaia with an excursion to Lago Roca in Tierra del Fuego National Park--about 40 minutes away. There's still lots to do: contemplate the waterfront views at Laguna Esmeralda, hike along Glacier Martial, explore the landscape on two wheels at Ushuaia Bay, and appreciate the history behind Plaza Malvinas. To see traveler tips, ratings, photos, and other tourist information, refer to the Ushuaia trip itinerary planner. Traveling by combination of shuttle and flight from Bonito to Ushuaia takes 15 hours. Alternatively, you can fly; or do a combination of car and ferry. The time zone changes from Amazon Time (AMT) to Argentine Time (ART), which is usually a 1 hour difference. In September in Ushuaia, expect temperatures between 8°C during the day and 1°C at night. Wrap up your sightseeing on the 10th (Mon) early enough to travel to San Carlos de Bariloche. You'll explore the less-touristy side of things at Piedras Blancas and Puerto Blest y Cascada de los Cantaro. 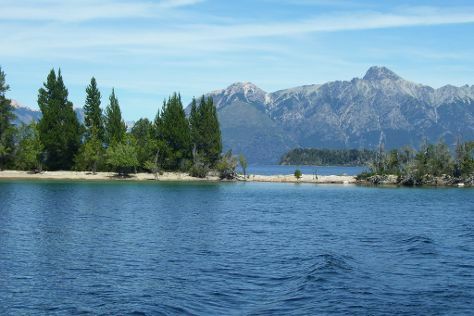 Step out of San Carlos de Bariloche with an excursion to Rio Correntoso in Villa La Angostura--about 1h 25 min away. There's still lots to do: see the interesting displays at Museo del Lago Gutierrez, take in panoramic vistas at Parque Nacional Nahuel Huapi, look for all kinds of wild species at Wildlife Areas, and step off the mainland to explore Isla Victoria. To find maps, ratings, photos, and more tourist information, go to the San Carlos de Bariloche trip planner . Getting from Ushuaia to San Carlos de Bariloche by flight takes about 8.5 hours. Other options: do a combination of bus and flight; or do a combination of car and ferry. Expect a bit warmer weather when traveling from Ushuaia in September: highs in San Carlos de Bariloche hover around 13°C, while lows dip to 0°C. Wrap up your sightseeing on the 14th (Fri) to allow time to travel to San Pedro de Atacama. Eschew the tourist crowds and head to Salar de Tara and Termas Banos de Puritama. 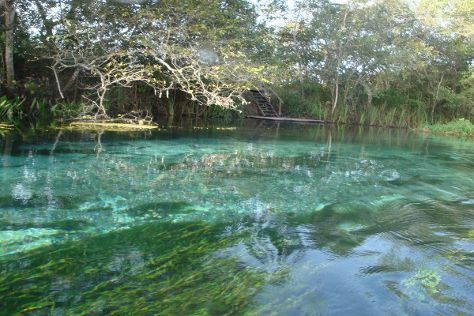 Spend the 17th (Mon) exploring nature at Reserva Nacional de Flamencos. There's lots more to do: enjoy the sand and surf at Laguna Tebinquinche, get lost in a book at Libreria Del Desierto, explore the activities along Lagunas Escondidas, and see the interesting displays at Museo del Meteorito. 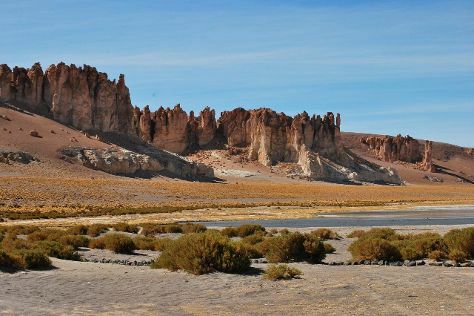 Use Inspirock's suggestions to plan your San Pedro de Atacama trip and find the best activities and attractions for your vacation. Getting from San Carlos de Bariloche to San Pedro de Atacama by combination of flight and shuttle takes about 9.5 hours. Other options: do a combination of flight and bus; or drive. The time zone difference when traveling from San Carlos de Bariloche to San Pedro de Atacama is minus 1 hour. Traveling from San Carlos de Bariloche in September, expect nights in San Pedro de Atacama to be about the same, around 2°C, while days are much warmer, around 27°C. Wrap up your sightseeing on the 18th (Tue) early enough to travel to Hanga Roa. Eschew the tourist crowds and head to Rano Raraku and Rano Kau. 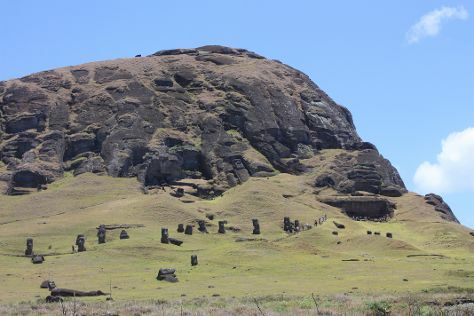 Spend the 21st (Fri) exploring nature at Rapa Nui National Park. And it doesn't end there: delve into the distant past at Ahu Tongariki, enjoy the sand and surf at Anakena Beach, tour the pleasant surroundings at Playa Ovahe, and contemplate the long history of Ahu Tahai. For maps, traveler tips, and more tourist information, go to the Hanga Roa sightseeing planner. You can do a combination of shuttle and flight from San Pedro de Atacama to Hanga Roa in 12 hours. The time zone difference moving from Chile Time (CLT) to Easter Is. Time (EAST) is minus 2 hours. Traveling from San Pedro de Atacama in September, plan for much warmer nights in Hanga Roa, with lows around 18°C. Wrap up your sightseeing on the 23rd (Sun) to allow time to travel to Cusco. You'll discover tucked-away gems like Sacred Valley of the Incas and Tambomachay. When in Cusco, make a side trip to see Pisac in Pisac, approximately 52 minutes away. The adventure continues: delve into the distant past at Sacsayhuaman, let the river carry you with a rafting and tubing tour, steep yourself in history at Tipon, and appreciate the extensive heritage of San Blas. To see traveler tips, ratings, reviews, and tourist information, read our Cusco driving holiday site . Traveling by flight from Hanga Roa to Cusco takes 17.5 hours. You'll lose 1 hour traveling from Hanga Roa to Cusco due to the time zone difference. Traveling from Hanga Roa in September, plan for a bit cooler nights in Cusco, with lows around 5°C. Finish your sightseeing early on the 29th (Sat) so you can travel back home.